Google Docs is the cloud-based word processing app of the G Suite that provides a similar experience to Microsoft Word. Users are able to create documents, fliers, basic tables, and integrate information with the other Google Apps. Using Docs is relatively easy; open the app and start typing. The document will automatically save in the user’s Google Drive which means less lost work should the user be interrupted. Show Ruler (View -> Show Ruler) shows you the side rulers at the top and side of page. This is a personal favorite since you can also use this to adjust your margins. Show Equation Toolbar (View -> Show Equation Toolbar) shows you different ways to create math problems within Google Docs. Alternatively, we like the extension Equatio to add math to Docs. You can read more about getting a free teacher account here. In line – The picture is inserted as though it were a line of text. 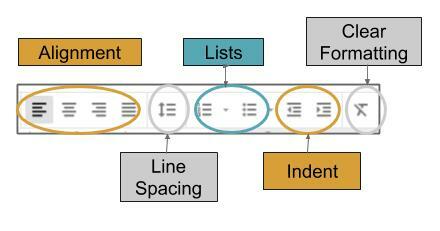 Break Text – It acts as though it were a page/column break and the rest of your text appears above or below it based on where you place the picture on your page. 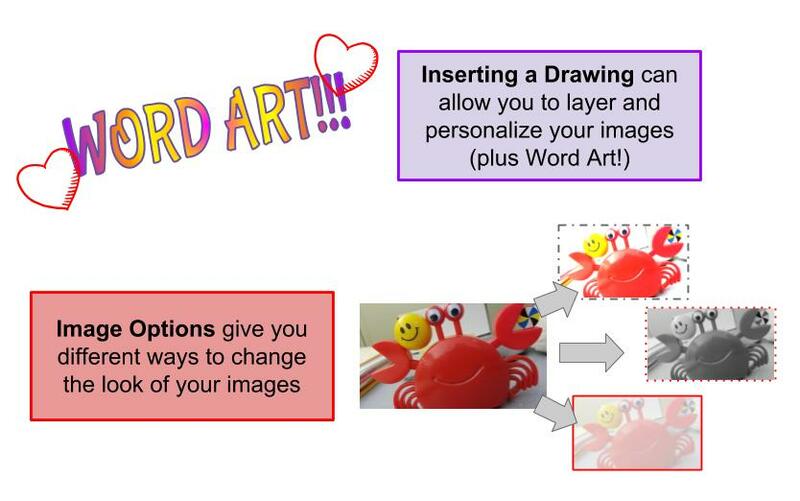 You can layer pictures with text and clipart by creating a drawing. Adjust the which picture is on top of another by adjusting the order. (Click object in the Drawing -> Actions -> Order) Each time you add a picture or element you are “stacking” them with the newest going to the top of the pile. You can adjust their position in the stack by changing the order (forwards or backwards) which can impact how your final image looks. Click “Save” and your Drawing will act like a regular image. Double click the drawing to edit. Double click the image to crop (or click the image and the crop icon) Click anywhere off the image to save the image adjustments. Image Options (Click Image -> Image Options) will allow you to recolor the image, adjust its brightness and contrast, and/or make it transparent. Voice Typing (Tools -> Voice Typing) This allows the user to speak their response and have it typed. They will have to “say” their punctuation to have it typed; otherwise the document will be a giant run-on sentence. Add-ons: Add-ons help personalize the experience of the user in the app. (Think of them as app-specific extensions). If added in Google Docs, the add-on will only work in Docs. Insert Math (Insert -> Equations) will allow you to add math symbols and equations in line text. Insert Special Characters (Insert -> Special Characters) will open a menu with different special characters (accent marks, arrows, emojis, etc) in line with text. 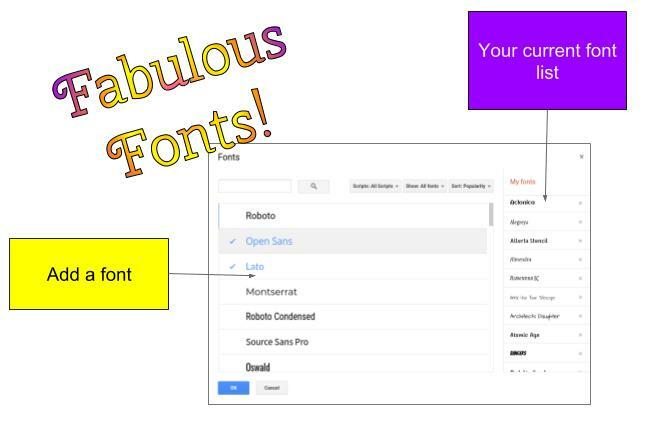 There are so many things that can be done with Google Docs other than the basics! If you need more assistance, you can contact the Instructional Tech Coaches for assistance.